We’re back and we’re talking about a couple of classics! First of all we’re spanning Megadeth’s whole career with their new compilation album called Warheads on Foreheads from 2019. 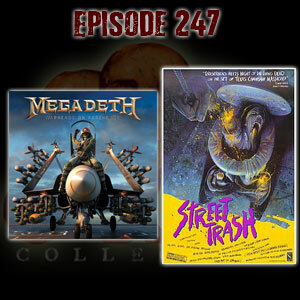 We’re also talking about the homeless epic Street Trash from 1987. Hold on to your butts!